Philip spent his childhood in Liverpool and the Isle of Man and studied Divinity at King's College, London. Before ordination he worked with the homeless in South London and trained as a counselor. Ordained in 1994 he served his title in the Diocese of Canterbury and became Vicar of St. Stephen's, Chatham in the Rochester Diocese. Appointed to Rochester Cathedral as Canon Pastor in 2005, Philip had a special responsibility for heritage and interpretation work. Having covered other roles in the Cathedral he was appointed Dean in 2016. He is a Governor of King's School, Rochester and Trustee of the Sir Williamson Mathematical School. He has close links with South India and enjoys music and gardening. Matthew grew up in Rutland and read music at Oxford University. Before ordination he was a solicitor. 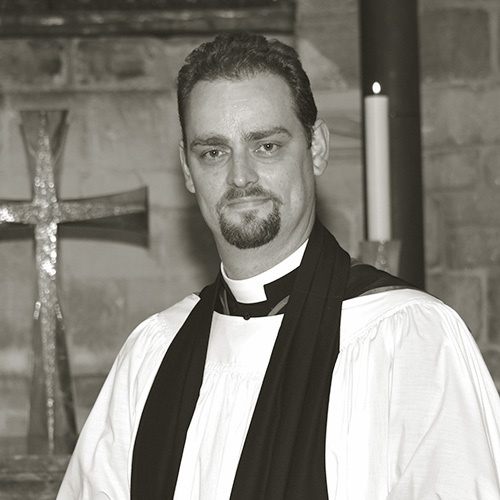 Matthew trained for ordination at Ripon College Cuddesdon and served his curacy in a group of rural parishes in Lincolnshire – he was also a priest-vicar at Lincoln Cathedral. He served as Archbishop’s Chaplain in Canterbury (for both Rowan Williams and Justin Welby) and Chaplain to the Bishop of Dover, and then as Precentor and Minor Canon of Canterbury Cathedral. He joined the Chapter of Rochester Cathedral as Canon Precentor in March 2017. Matthew is married to Elizabeth and they have two sons. He enjoys music, running, walking Ginny the springer spaniel, and exploring Northumberland. Rachel joined the team at Rochester Cathedral in January 2017. As Canon for Mission and Growth, she oversees the Cathedral's work in areas other than worship, including: learning, visitor engagement, and outreach to the community and wider diocese. Prior to Ordination Chris trained as a General Nurse at Southampton University Hospital. 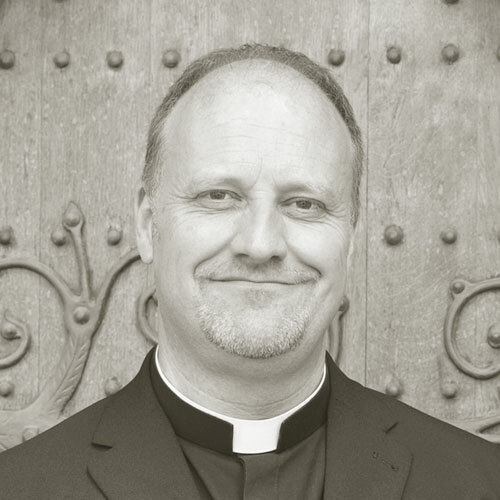 He studied theology at Salisbury & Wells Theological College and was ordained in 1991 at Rochester Cathedral and served his curacy at St Paulinus Church, Crayford. Following his curacy, he was Rector of Leybourne for twelve years during which time he took on a dual role ministry as Lay Training Adviser. In 2010 he was appointed as full time Director of Formation and Ministry. He has been an Honorary Canon of Rochester Cathedral for 8 years, a member of the Cathedral Council and regular member of the Cathedral congregation. For 13 years he served as the Chair of Governors of Bennett Memorial Diocesan School and more recently as a Trustee and Chair of St Augustine’s College of Theology. Chris is married Viv who works with students with Special Educational Needs in main stream secondary education. They have two grown up sons, both living away from home but still in Kent, who regularly enjoy visiting and staying at Easter Garth. Sue is recently licenced as Priest-in-Charge of St Matthew’s Church, Borstal, having previously served as Vicar of Christ Church, Gravesend for 11 years, as well as Area Dean of Gravesend Deanery since 2013. She was brought up in Buckinghamshire and after reading maths and philosophy at Oxford university trained as a Chartered Accountant, before taking a career break when her children were young, during which time she served as a Diocese of Rochester Pastoral Assistant. Sue was ordained in 2002. All of her ministry has been based in Rochester Diocese. Sue is married to Jeremy. They have 3 grown-up children and 4 grandchildren. Sue and Jeremy will be living in their home in Rochester which they share with Bodie the border collie. Andrew grew up in Lincolnshire where his father was a Parish Priest. After leaving Grammar School he joined the Civil Service, spending the majority of his career at the Ministry of Defence, where he held a number of appointments. Awarded the OBE for work with the Armed Forces, Andrew is a Fellow of the CIPD, and has attended St Augustine’s, Gillingham for over 30 years. He has served on the PCC, been churchwarden, and is HR Consultant to the Diocese. Married to Sue, his interests include travel, reading and fine wine, preferably Carmenere and looking after granddaughter Jessica. Barbara grew up in Bickley, Kent. 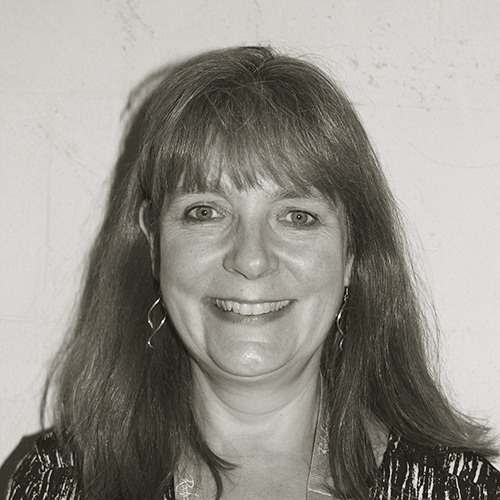 After graduating with a degree in English Literature from Royal Holloway College, University of London, she pursued a career in the Arts, first at the Barbican Centre, then with a Music Agency and finally as Publications Manager for the London Symphony Orchestra. Barbara is married to Patrick, a patent attorney, and they have two adult daughters. Barbara is also involved in her parish church in Hildenborough. In the past she has been a Church Warden, led a Bible Study Group for young mothers, started a Babies Club and co-led a group for older members of the church family. Barbara has a Certificate in psychodynamic Counselling and has volunteered as a Befriender in the community as well as working in the local Oxfam shop. Her interests include art, music and current affairs. Paul was appointed a lay member of the Chapter in October 2010. He has worked in planning and economic development his entire career, first for Kent County Council for 20 years, followed by the former Rochester upon Medway City Council, the South East England Development Agency, and central government where he was the Chief Planner and Director of Thames Gateway. He continues to work part time for the government handling proposals for national infrastructure. He chaired the south-east England committee of the Heritage Lottery Fund for six years. He lives in Maidstone with his wife Jan. Their two children are both married and have provided six grandchildren between them. 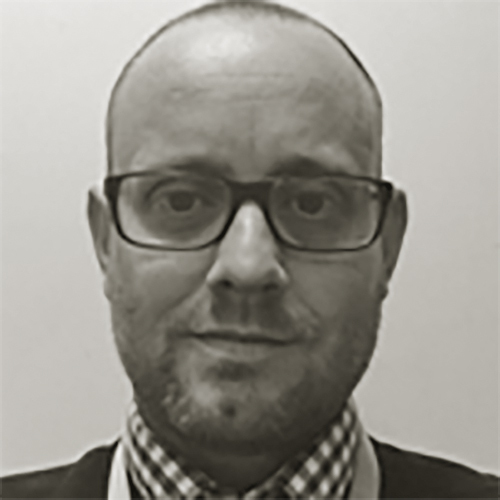 Simon originally hails from Lancashire but has lived in the south-east for over 30 years, the last fifteen of them in Bearsted with his wife Sally and children Jack and Hannah. Simon joined the Cathedral in January 2017. Prior to this his career has been spent working in heritage and tourism, mainly in the local authority sector. He has held managerial positions in museum and heritage services in Stockport, Bolton, east and west London and Maidstone. His last position was Heritage Services Manager at Medway Council, responsible for the Guildhall Museum, the Medway Archives service and Upnor and Rochester Castles. He’s a keen armchair sportsman but still manages to get on the ski slopes every year. Previously, Adrian was Second Assistant Organist at Canterbury Cathedral. He studied organ at the Royal Academy of Music and was an Organ Scholar at Worcester College, Oxford. He then undertook at post-graduate conducting diploma at the Royal College of Music. Before moving to Kent, he was School Organist and then Director of Music at Christ’s Hospital in Horsham. Adrian is married to Victoria and they have two boys. He works with 2 choirs in the Canterbury area, enjoys composing and being out in the fresh air with his retired greyhound, Atticus. Jeremy took up the post of Assistant Director of Music in September 2018, having spent two years as Assisting Organist at York Minster. Prior to this, Jeremy held similar roles at Peterborough Cathedral, The London Oratory, and Methodist Central Hall, Westminster. Jeremy is a prize-winning graduate of the Royal Academy of Music, where he studied the organ with Susan Landale. He is a Fellow of the Royal College of Organists, and holds the LRAM teaching diploma from the Royal Academy of Music. He has given recitals across the country in venues including the Cathedrals of St. Paul's, St. Edmundsbury, Westminster and Southwark, as well as Westminster Abbey and Reading Town Hall. The Voluntary Choir was formed in August 2008; many of its members were previously in the Cathedral Special Choir, which sang its last services in July 2008. It is directed by Douglas Henn-Macrae, who is also a Deputy Lay Clerk, having been, until 2008, the Senior Lay Clerk. Colin is responsible for the day-to-day management and security of the Cathedral and Precinct, leading the team of vergers and cleaners. He supervises the general maintenance of the Cathedral and other building projects. Colin's liturgical duties include preparation of the Cathedral for services and events; care of vestments, cathedral plate and valuables and the upkeep of statutory registers. Colin is a Member of the Guild of Vergers. Rob joined the Cathedral in July 2011. He has worked in accountancy and finance since leaving school, originally with local accountants Hoby, Pollock and Bell, where he was involved in the audit of Rochester Cathedral until 1998. He qualified as an Accounting Technician in 1988 and then specialised in Charity accounts and audit. 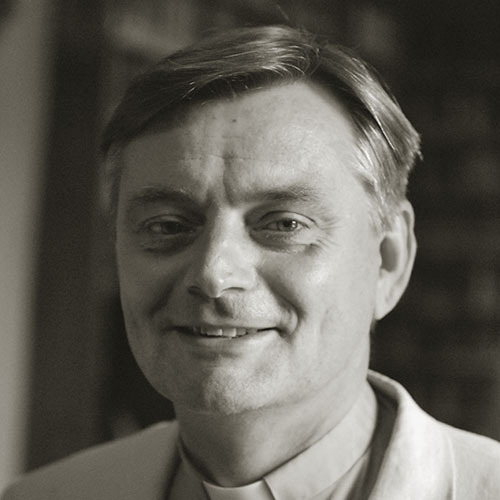 In 1998 he further specialised in ecclesiastical charities as auditor for several Roman Catholic Dioceses and Holy Orders, before being appointed as Diocesan Accountant for Rochester Diocese in 2000 and then Canterbury Diocese in 2007. Rebecca joined us in February 2018. She has a Masters degree in Ancient History from University College London where she specialised in the history and legacy of the Ancient Near East. She has spent the past decade working in a number of heritage attractions in Central London including Buckingham Palace and the Natural History Museum. Prior to joining us Rebecca spent five years working for Historic Royal Palaces looking after the Visitor Services team at Banqueting House on Whitehall. Helen, assisted by an enthusiastic group of volunteers, heads up the Cathedral’s Learning Team. Around 13,000 students visit annually to take part in our exciting and varied learning programme. The team also facilitates a growing number of family and adult learning events. Sandy leads the Volunteer teams who welcome Visitors, offer Guided Tours and support Cathedral Staff in the day to day running of the Cathedral. If you have spare time you are always welcome to contact her with a view to volunteering in this historic place. The Very Revd Hosam Naoum Dean of St George’s Cathedral, Jerusalem.